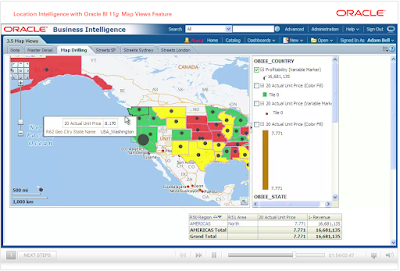 There is a short, self-running Flash demo on Location Intelligence using Map Views in Oracle BI 11g. 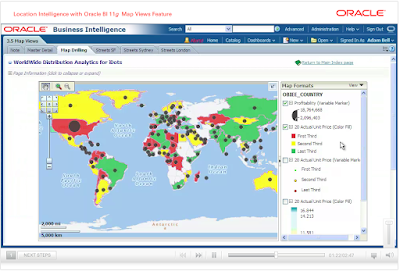 Map Views allow you to overlay analytics data over geo-spatial map using a variety of formats, like color-fills, bar graphs, pie graphs, bubbles, variable markers, and even images. As you drill from one level to the next, the formats carry over - which I think is very, very neat.